The HTU21A(F) is a new digital humidity sensor with temperature output by MEAS. Setting new standards in terms of size and intelligence, it is embedded in a reflow solderable Dual Flat No leads (DFN) package with a small 3 x 3 x 0.9 mm footprint. This sensor provides calibrated, linearized signals in digital, I²C format. HTU21A(F) digital humidity sensors are dedicated humidity and temperature plug and play transducers for OEM applications where reliable and accurate measurements are needed. 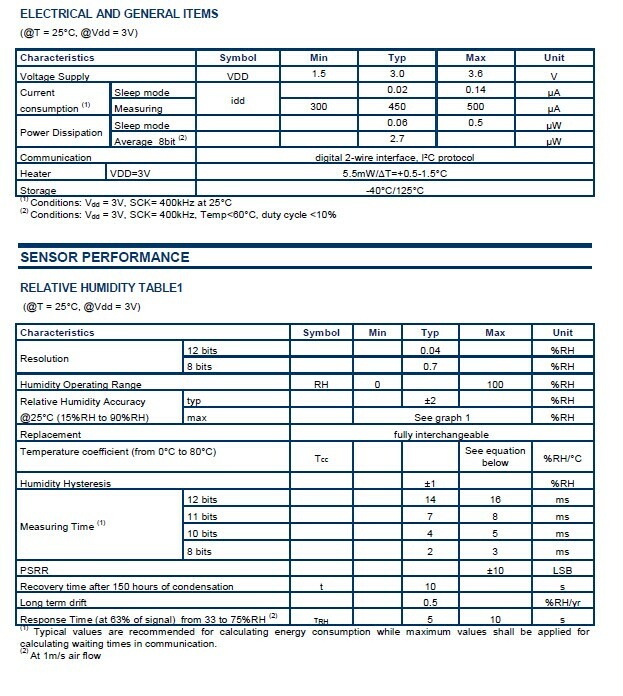 the HTU21A(F) shows maximum performance on an extended band of relative humidity compared to HTU21D(F). Direct interface with a micro-controller is made possible with the module for humidity and temperature digital outputs. These low power sensors are designed for high volume and cost sensitive applications with tight space constraints. Every sensor is individually calibrated and tested. Lot identification is printed on the sensor and an electronic identification code is stored on the chip – which can be read out by command. Low battery can be detected and a checksum improves communication reliability. The resolution of these digital humidity sensors can be changed by command (8/12bit up to 12/14bit for RH/T). 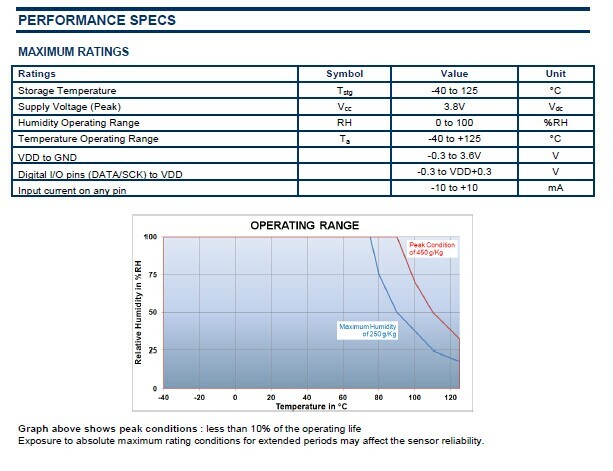 With MEAS’ improvements and miniaturization of this sensor, the performance-to-price ratio has been improved – and eventually, any device should benefit from its cutting edge energy saving operation mode. Optional PTFE filter/membrane (F) protects HTU21A digital humidity sensors against dust and water immersion, as well as against contamination by particles. PTFE filter/membranes preserve a high response time. The white PTFE filter/membrane is directly stuck on the sensor housing.